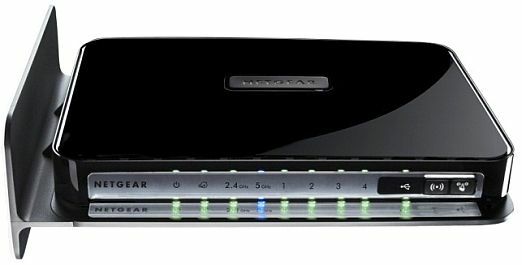 Netgear has announced the launch of Netgear N750 Dual Band Gigabit WiFi Router - Premium Edition (WNDR4300) in India, a wireless solution that supposedly combines a feature-rich set with fast 750Mbps (300 450 Mbps) speed to stream HD video, support multiplayer gaming and handle large file transfers. Netgear N750 Dual Band Gigabit WiFi Router - Premium Edition (WNDR4300) features secure Netgear ReadyShare Cloud service and compatibility with Apple Time Machine. According to Netgear, the ReadyShare Cloud service enables the creation of a highly secure private cloud for easily accessing and sharing files wirelessly. Netgear ReadyShare Cloud keeps all your files stored securely at home but available to transfer, edit or share anywhere, anytime remotely via your smartphone, tablet or PC. Simply and securely drag and drop files and folders, without the need of using multiple file sharing sites or uploading. The Netgear N750 Wireless Dual Band Gigabit Premium Router's compatibility with Apple Time Machine provides automatic wireless backup to a connected USB hard drive for Macs. 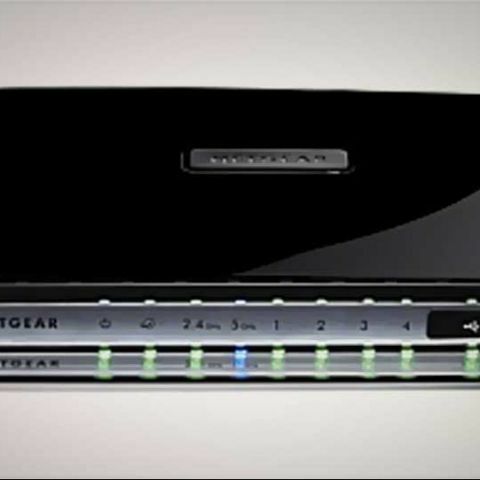 The router also offers expanded TiVo Storage via a connected USB drive for saving your favorite programs and Netgear ReadyShare Printer for sharing USB printers on the network. Simultaneous dual band (2.4 and 5.0 GHZ) and four gigabit Ethernet ports ensure an ultra-fast connection and stronger WiFi connections for medium-to-larger homes. Setup for the Netgear N750 Dual Band Gigabit WiFi Router - Premium Edition is supposedly easy for the Apple iPad, tablets, smartphones and computers. Just the push of a button establishes WiFi connections (WPS), and Netgear Genie makes home network management simple. The Netgear N750 Dual Band Gigabit WiFi Router - Premium Edition (WNDR4300), is available through Netgear’s authorized distributors at MRP of Rs. 15,000/- with warranty of 2 years.